Disclaimer: This blog post contains a large amount of self-bragging content. On July 23rd, 2018 NetBeez was named as 2018 Emerging Vendor by CRN magazine for the second year in a row. The Emerging Vendor award is awarded to companies that offer “some of the most exciting, new, channel-focused vendors helping to create new solutions for businesses and opportunities for solution providers.” This is a milestone for us because CRN is one of the leading references for resellers and IT solution providers. Its website, and printed publication, has millions of readers all over the world. Mist, an innovative startup that builds open source software that enables network engineers to customize commodity networking hardware such as switches and routers. Updated Dashboard – In 1.3, we have revised the Buzz tab (the main page of the user dashboard). This revamped-view provides a clearer status of network locations and applications monitored by the Beez. 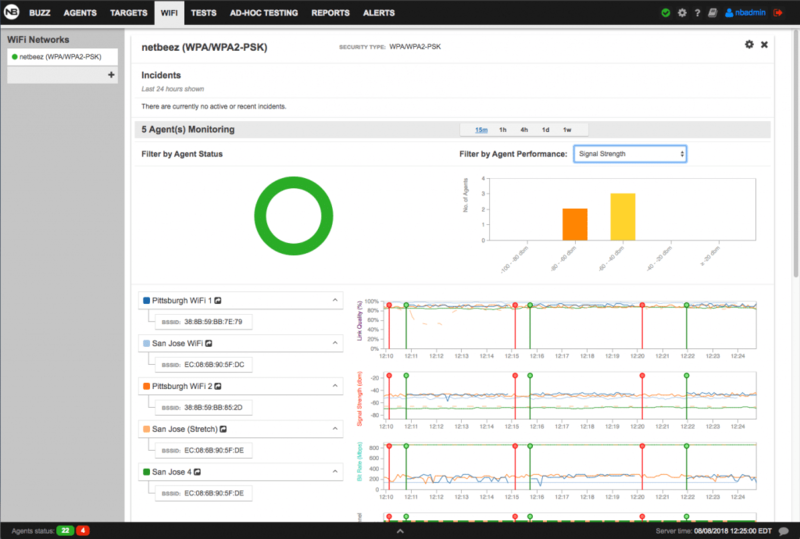 Incidents – Incidents aggregate alerts from multiple agents and targets, reducing alert fatigue, and notifying the user only when real problems occur. The notification algorithm works by inspecting the number of alerts triggered within one individual agent, target, or WiFi network. 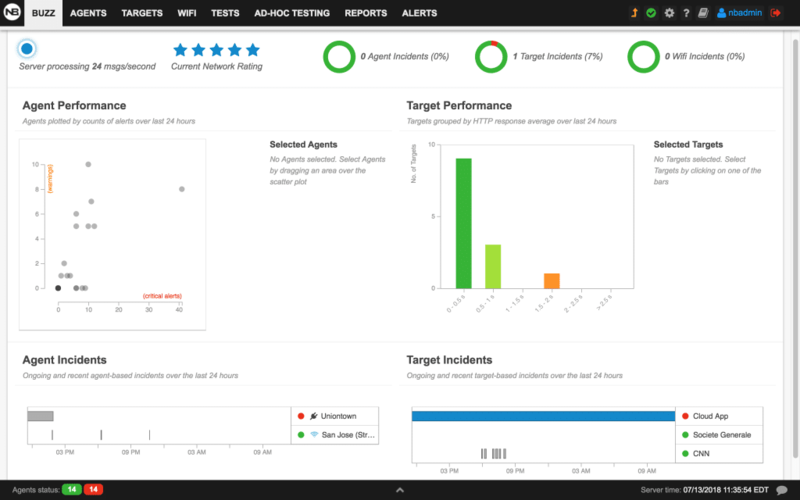 If a certain percentage of tests trigger alerts, then the specific resource (target, agent, or WiFi network) reports an incident that should be addressed. WiFi monitoring workspace – WiFi monitoring from the client perspective has been available through NetBeez since 2015. However, before the release of 1.4, WiFi metrics were visible on a per-agent basis. What was missing in previous versions was one single “pane of glass” snapshot to aggregate performance metrics from multiple WiFi agents. 1.4 introduced the WiFi tab, a new way to quickly review performance metrics on a per-SSID basis from all sensors deployed in the field. Containerized architecture – This improvement only pertains to the backend – so the average user may not be as interested in this upgrade. Still, it’s a great milestone for the development team to successfully manage the build and release process. Containers make it much easier and more simple to release new updates while making servers more scalable. To conclude, we’d like to thank CRN, our business partners, customers, and followers for supporting us day after day, and for helping us to achieve this great award. The team at NetBeez is excited for what the future will bring and is looking forward to providing great product updates and company news! Download our Tech and Benefits Overview White Paper!